The favourite financial topic of recent times took another turn this week with multiple facets coming to the fore. Much of the financial press is now talking about the US – China situation in terms of a trade war and it seems that initial pondering as to whether the first round of tariffs was just for show to pump up the Trump base ahead of mid-term elections has given way to the belief that this is real and we are rapidly approaching (if not already in) trade war territory. President Trump this week announcing that he’s prepared to impose tariffs on every single dollar of goods that hits US shores from China. The recently released list of an additional $200 billion worth of items which the US is currently in consultation regarding takes aim at a lot of different product categories including the recently unearthed and seemingly innocuous sub-heading defined as “data transmission machines” which may affect things such as the Apple (NASDAQ:AAPL) Watch and FitBit (NYSE:FIT) trackers. Despite bipartisan support to put American national security before jobs in China, the Republican leadership refused to take any real, substantive action on ZTE. Instead, they joined President Trump in bowing to Beijing. It may be that the President feels that with the huge fines ZTE has agreed to pay to the US and the significant shake up of its board and management team, the firm has done enough to deserve another chance but it seems unlikely given the increasingly bitter nature of trade relations between the US and China. 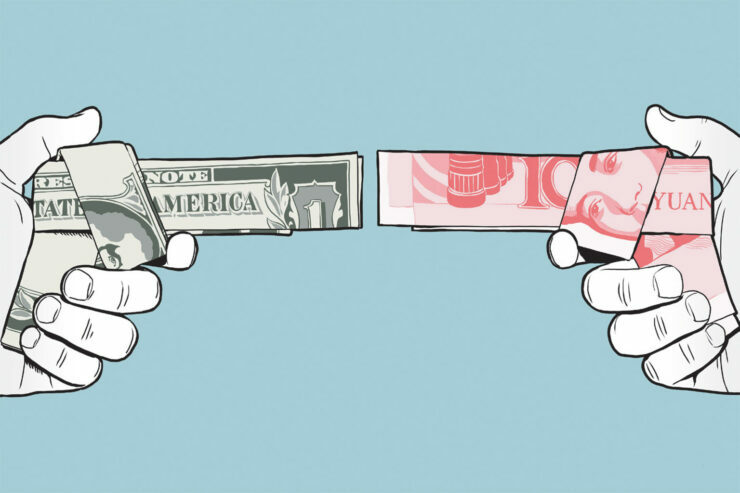 One of the main issues at the heart of the dispute is the historical way that China has allowed foreign companies to do business in the country, allowing them in only under onerous joint venture and partnership arrangements which many feel are simply facilitating a few quarters of growth in American company earnings but at the expense of long term competitiveness given China’s stated aim of reducing its reliance on foreign technology as part of the “Made in China 2025” initiative. Basically (and unsurprisingly), the US wants China to be successful, but only in so far as that success will drive increased purchases from US companies. China now feels that it’s big enough to start reducing its reliance on foreign companies and should aim for more technological growth under its own initiative rather than just manufacturing expertise. Comparisons to Samsung (KRX:005930) when it entered the chip industry in the late 60s which many criticised as being pointless at the time but which the Korean firm realised if it didn’t enter as soon as possible and plough money into it, catching up would be even more expensive. We all know how that story ended up with Samsung now being the largest chipmaker in the world. Cross-business line subsidisation is a long established method of building up in a weak area which is the route Samsung took. Chinese firms are taking a different one and being helped by government regulations which many accuse as enabling the theft of intellectual property from American firms. SoftBank meanwhile, continues its approach to investing in anything and everything which may give a technological return or advantage, useful to many technology companies (including US based ones) but also to Chinese firms with rumours currently swirling that the vaunted Vision Fund is about to invest $1 billion in a Chinese artificial intelligence startup called SenseTime, a facial recognition technology development company. SenseTime, which recently raised over $1.2 billion from such names as Fidelity, Hopu Capital, Silver Lake, Tiger Global and Alibaba is obviously already in a strong financial position and unlikely to face employee activism of the kind recently faced by both Google (NASDAQ:GOOGL) and Amazon (NASDAQ:AMZN) to stop supplying government agencies with technology they deem to be used in a morally objectionable manner. In all likelihood of course, it would be supplying technology to the Chinese government rather than the US however. SoftBank is the increasingly powerful Japanese telco which is now pivoting to focus more on its technology investment “Vision” fund than its traditional telco business, a company I explored in more detail (here) and which these days feels more like a structured finance investment bank fund than anything else. Many in the US would love to be able to limit the amount of investment which flows into China to restrict its technological advancement but the US is struggling for global influence as it seeks to punish traditional allies for what it views as unfair trading at the moment. So where do we stand? A trade war is definitely brewing, if not in full swing yet. 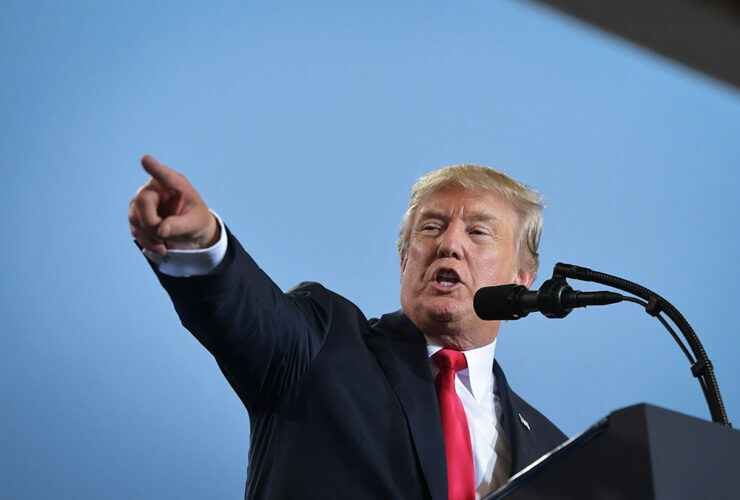 China has a range of options to retaliate against the US but President Trump has effectively signalled that he is prepared to ramp up the initial round in very rapid fashion by effectively slapping tariffs on everything that China sends to the US. China doesn’t import anywhere near as much from the US as it exports to it so its options are now limited to either conceding for the time being and seeing how the situation plays out or ramping up its retaliation to other areas. As I’ve discussed before, other areas are a tender subject, particularly given that China is the single largest holder of US government debt with an approximate $1.2 trillion. Winding down a position of that size whether passively by just letting the bonds mature and not rolling the money into further T-notes or actively by selling them would probably be considered the financial equivalent of the nuclear option so would be unlikely in the short term. Devaluation of the Yuan is a possibility and it has already been declining in the face of US tariffs. This would obviously help Chinese exporters and could be encouraged further by interest rate reductions. Other alternatives are longer term strategic plays. China’s “Belt and Road” initiative to invest in other countries infrastructure to promote international trade with itself at the centre of a modern day silk road continues. Other ways of attempting to isolate the US internationally including applying pressure on countries to trade with it more in return for investment and potentially joining trade agreements which the US has withdrawn from such as the Trans-Pacific Partnership could also work in its favour. Then there is another likely option of increasing the regulatory red-tape burden/negative propaganda aimed at US companies attempting to operate in China. It’s a big market and the Chinese population have a tendency to not buy from companies that its government indicates may be problematic. President Xi doesn’t have the 6 year time limit remaining on power his US counterpart has. He may just decide to try to consolidate Chinese influence globally and play the long term game. As ever, it will be interesting to watch.